Service Automation – the concept of delivering services through smart technology – is a rapidly growing area of interest for most organizations. Companies such as Spotify, Netflix and Spotify and Uber (whom deliver 100% automated services) have proven that organizations can achieve rapid growth and gain a competitive advantage by relying on Service Automation. Since Service Automation is a new topic, there was not a lot of (practical) information available on how organizations can set up Service Automation in their organizations. The Service Automation Framework® provides a step-by-step approach that illustrates how organizations can digitize their service offering in a methodical way. The corresponding certification scheme was developed for individuals and teams who aim to demonstrate their proficiency in the methodical steps of the Service Automation Framework. Additionally, the certification scheme provides a consistent starting point for organizations who want to start digitizing their service offering. Serendipity Management: The processes that facilitate a planned and continuous approach in order to constantly exceed the expectations of users. Each of the six building blocks form an essential step in design and delivery of automated services. 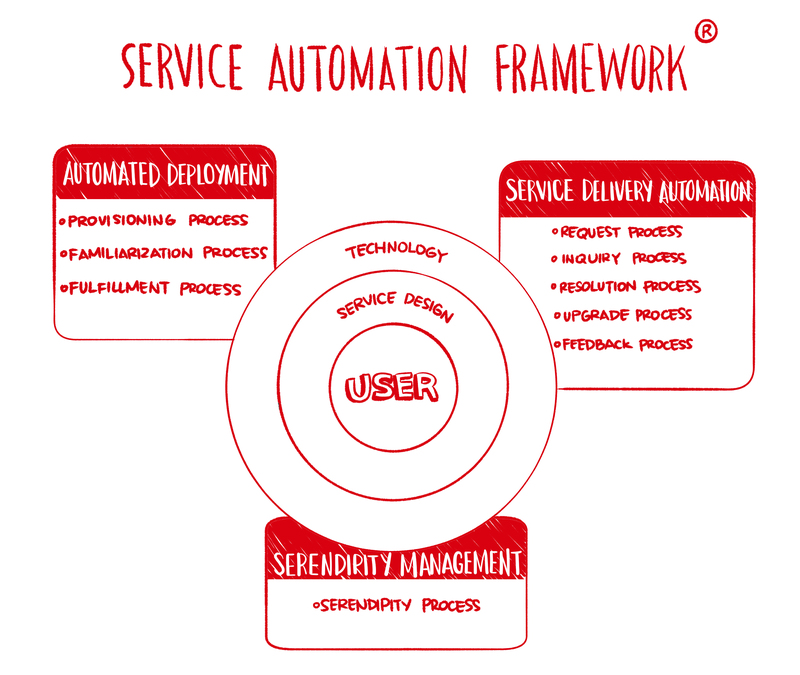 In addition to the six building blocks of SAF, the seven Service Automation Framework Techniques can be considered as a step-by-step plan that organizations can use to adopt Service Automation. Each of the seven SAFTs discussed in detail what techniques an organization should use to design and deliver automated services. SAFT1 – Building User Groups and User Characteristics: In order to deliver ‘valuable’ services, it is necessary to understand the Service Perception of individual users. SAFT 1 provides the techniques to build the User Groups and User Characteristics that shape the Service Perception. SAFT2 – Translating User Profiles into User Action: In order to ensure that services meet or exceed user requirements or expectations, service providers need to understand the needs and triggers that initiate service requests. SAFT2 provides the techniques to translate User Profiles into User Actions, keeping in mind the psychographic criteria that determine the overall UX. SAFT3 – Compose the Service Automation Blueprint: The SAF Canvas enables the composition of a Service Automation Blueprint which outlines the ‘ultimate User Experience’ for a specific service and a specific User Group. SAFT4 – Technology Interface Modeling: The goal of Technology Interface Modeling is to design a Self-Service Portal (e.g. the technology interface) based on industry best practices. SAFT5 – Implement Automated Deployment Processes: The goal of this exercise is to apply the three processes of Automated Deployment (Provisioning Process, Familiarization Process and Fulfillment Process) in your own organization. SAFT6 – Implement Service Delivery Automation Processes: The goal of this exercise is to apply the five processes of Service Delivery Automation (Request, Inquiry, Resolution, Upgrade and Feedback Process) into your own organization. 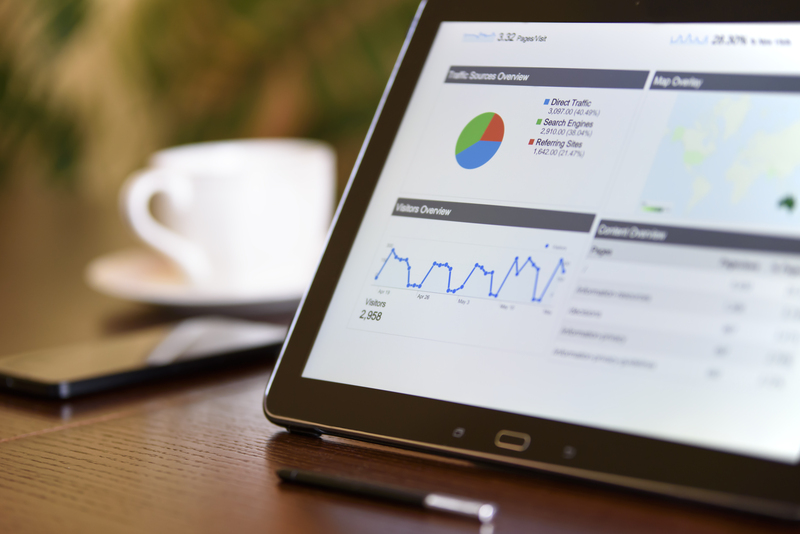 SAFT7 – Surprise your user with Serendipity Management: The goal of this exercise is to apply Serendipity Management to transform your organization’s customers into long-term fans. Through the chapters of the Service Automation book, each of the seven Service Automation Framework Techniques is illustrated using the case study of the Swan Hotel Group. Service Automation is a growth market across the entire world. Whereas the competition in traditional Service Management products is fierce, the SAF product provides training organizations to showcase their innovative spirit and the opportunity to claim a part of the Service Automation market in their respective regions. The Service Automation Framework is primarily intended for individuals and organizations in the service industry, whom can gain a competitive advantage by digitizing their existing service portfolio. Examples of industries that the SAF is especially suitable for include the Finance, Insurance, Healthcare and Government sectors. The Service Automation Framework book covers the necessary steps to digitize the service offering of organizations and provides guidance on the 7 Service Automation Framework Techniques. The key benefit of the book and corresponding certification is that is provides knowledge and practical tools that can be used in practice after reading the book.